Germany is a robust and powerful country. Positioned in the center of Europe, it witnessed difficult periods in its history. Of course, among the notorious parts of their history was during World War II. During the Cold War era, Germany was slowly rebuilding their community and society after the double whammy collapse (World War I and World War II). The fall of the Berlin wall, which started on November 9th 1989, built the sense of unity and community within the German public, providing them hope that they can finally live as normal beings in this world. Away from the dramatic historical introduction, I visited two cities in Germany: Freiburg and Berlin. 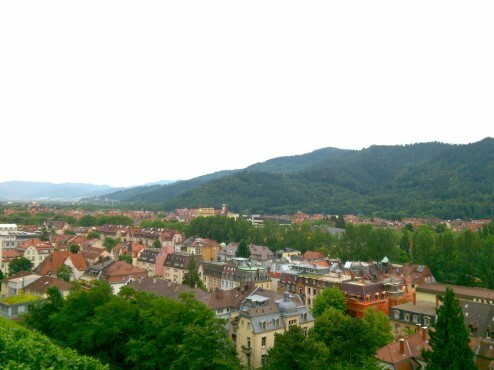 Freiburg is located on the West of Germany. It is very close to the border of France, and it can be compared by Californians as Davis of Germany. However, it doesn’t smell like cow dung. The city is beautiful and surrounded by beautiful mountains, valleys and greens. Freiburg is famous for its University, and personally, it is a university town where you would find yourself surrounded with young people riding bicycles in their cute downtown. 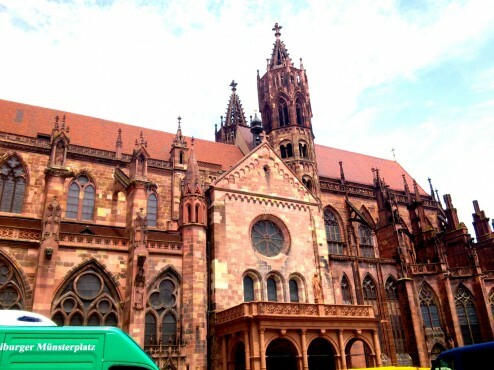 Freiburg is also renowned for its famous cathedral, Freiburg Minster. The last duke of Zähringen had started the building around 1200 in romanesque style, the construction continued in 1230 in Gothic style. So, you can imagine how old that thing is! The cathedral is surrounded by mini-market, or farm-market, where locals sell their goods to the public. And how can I forget about Bratwurst stands, which are among the most tastiest delicacy I look for in Germany! People selling some seriously tasty stuff! It is said that the Cathedral survived the bombing with the reason that the military used cathedrals as protection posts. 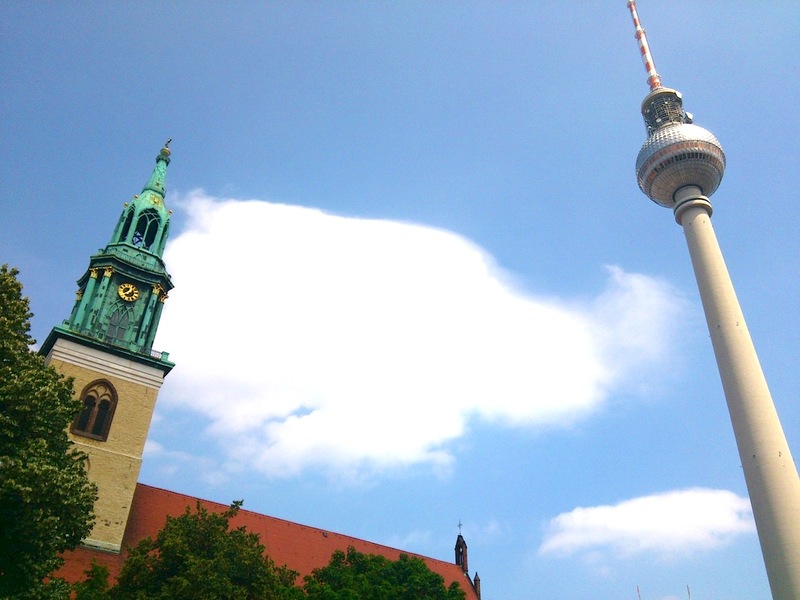 Berlin is rich with history, art, and technology. I can attest that this city is the city of whatever artistic medium Germany generates. The richness of culture and diversity in the city is something that is extremely laudable and memorable. 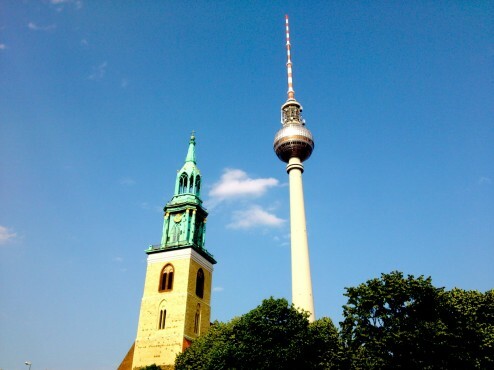 Berlin has went through A LOT of things, and let’s not get started on what they’ve been through. However, the city is filled with life! 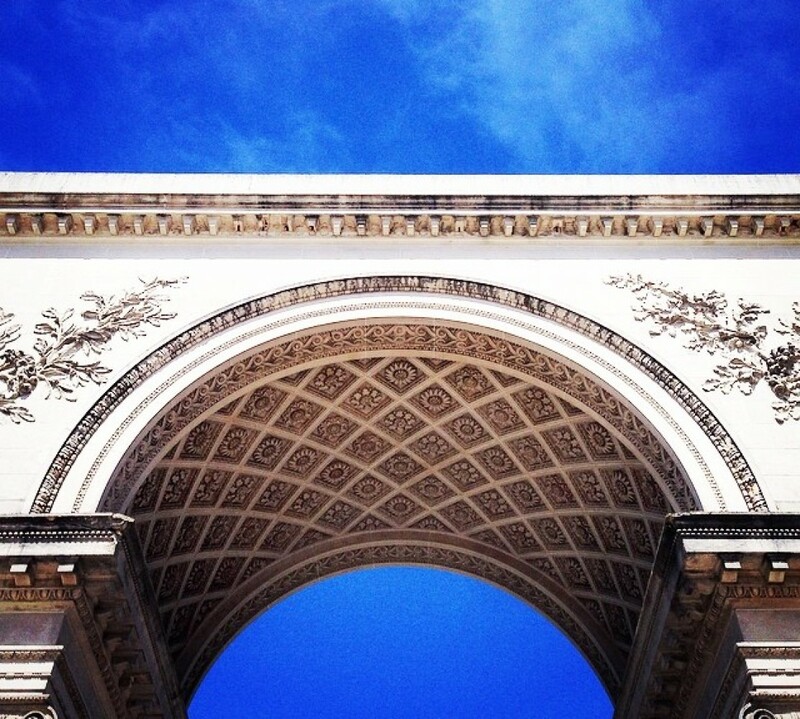 It is an attractive center for young people and tourists (of course…). However, it holds a dark history that looms in the minds and thoughts of the people I’ve talked to. Not to mention, some people wish to forget this dark past. 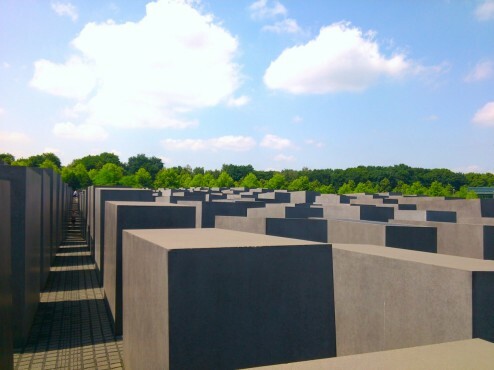 While there, I visited the Holocaust Museum in Berlin, which is surrounded by great blocks that represent the number of individuals that have passed away. The museum was dark and mellow. Personally, I was very disappointed by the museum> As I toured the museum, they shared stories of the horrific experiences the jews, romans, and other races faced under the dark Nazi regime. After going through series of chambers in the museum, I noticed that the end of the museum does not provide any ending. It felt as if the whole purpose of the museum was to merely instill the feeling of sorrow and sadness only to individuals. I wish that they would establish a new room in the museum to shed light on how unity, diversity and cooperation is what bring progress to mankind; providing a sense of inspiration and motivation for people to go forward with a positive cause to prevent not only bloodshed, but eliminate the thought of prejudice, too. My dear friend Marta invited me to go to the Flea Market. During summer, every weekend. Berliners, and few other folks from other cities, come to Berlin to sell their goods and artifacts to the public at the flea market. This flea market does not only sell people’s old belongings, but rather they also sell art works and pieces designed by the seller themselves. I actually bought a mixing system that an engineer was selling at the flea market. And personally, it was an amazing invention! Next to the flea market there is a mini terrace similar to those used during the Roman empire. Built out of stone and clunky. However, it is the place where people can go and sing Karaoke! That’s right, Karaoke! Marta told me that the Karaoke is held every week during the flea market, and over thousand people gather around to hear the voice of the brave person singing to them their favorite song. The atmosphere is wonderful, and the diversity that was present there was glorious! I have placed it as an item in my bucket list to sing in front of a crowd in Frankfurt, as I have chickened out from singing. Shame on me indeed! Brave enough to sing infront of this crowd? There is much to share about Germany, but I’ll leave it at that. It is my wish that I would return to Europe once again and explore the rich culture it carries. My hosts were unbelievably kind, the nations were beautiful, and the community was inspiring to learn from. I hope that all of us can get this opportunity to travel the world and learn how despite we live miles apart, or even few feet apart, we are all just one big family.